IMPORTANT, PLEASE READ THIS FIRST. THIS IS A LICENSE AGREEMENT. 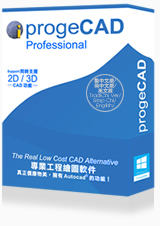 progeCAD IS WILLING TO LICENSE THE ACCOMPANYING SOFTWARE TO YOU ONLY UPON THE CONDITION THAT YOU ACCEPT ALL OF THE TERMS CONTAINED IN THIS LICENSE AGREEMENT AND ANY SUPPLEMENTARY OR UNIQUE LICENSE TERMS INCLUDED HEREWITH ("AGREEMENT"). READ THE TERMS AND CONDITIONS OF THIS AGREEMENT CAREFULLY BEFORE SELECTING THE "I ACCEPT" BUTTON AT THE BOTTOM OF THE PAGE. Please use the scroll bar on the right to read the rest of this agreement. BY SELECTING THE "I ACCEPT" BUTTON, YOU ARE CONSENTING TO BE BOUND BY ALL THE TERMS OF THE LICENSE AGREEMENT AND THE SOFTWARE WILL BE INSTALLED. IF YOU ARE NOT WILLING TO BE BOUND BY THIS AGREEMENT AND YOU DO NOT AGREE TO ALL OF ITS TERMS AND CONDITIONS, SELECT "I DO NOT ACCEPT" - WHICH WILL CANCEL THE LOADING OF THE SOFTWARE -- AND, WITHIN THIRTY (30) DAYS FROM PURCHASE, RETURN THIS SOFTWARE, THE SOFTWARE PACKAGE AND ALL OTHER ITEMS IN THE PACKAGE WITH DATED PROOF OF PURCHASE TO THE LOCATION WHERE YOU ACQUIRED IT FOR A FULL REFUND. YOUR USE OF THE SOFTWARE ALSO INDICATES YOUR ASSENT TO BE BOUND BY THE LICENSE TERMS SET FORTH HEREIN. COPYING OR USE OF THIS COMPUTER PROGRAM OR ITS DOCUMENTATION EXCEPT AS PERMITTED BY THIS LICENSE IS UNAUTHORIZED AND IS COPYRIGHT INFRINGEMENT UNDER THE LAWS OF YOUR COUNTRY. IF YOU COPY OR USE THIS COMPUTER PROGRAM WITHOUT PERMISSION OF progeCAD , YOU ARE VIOLATING THE LAW. YOU MAY BE LIABLE TO progeCAD FOR DAMAGES, AND YOU MAY BE SUBJECT TO CRIMINAL PENALTIES. THIS SOFTWARE IS MADE AVAILABLE FOR A 30-DAY EVALUATION PERIOD ONLY. TO EXTEND YOUR USE OF THE SOFTWARE, YOU MUST CONTACT progeCAD OR AN AUTHORIZED RESELLER TO REMIT THE PURCHASE PRICE AND RECEIVE YOUR AUTHORIZATION CODE OR NEW PAID-IN-FULL COPY ENTITLING YOU TO THE COMMERCIAL LICENSE RIGHTS GRANTED BELOW. DURING THE EVALUATION PERIOD, YOU MAY USE ONE COPY OF THE SOFTWARE ONLY TO EVALUATE IT. USE DURING THE EVALUATION PERIOD FOR ANY OTHER PURPOSE, INCLUDING COMPETITIVE ANALYSIS, IS STRICTLY PROHIBITED. UPON YOUR PURCHASE OF A LICENSE FOR THIS SOFTWARE, USE OF THE SOFTWARE SHALL NO LONGER BE SUBJECT TO THE FOREGOING RESTRICTION. progeCAD grants you a nonexclusive, nontransferable license to use this program (the "Software") and its user guide and other accompanying material ("Documentation") with equipment owned by you or under your control, according to the terms and conditions of this License Agreement. This License Agreement permits a single user to install and use the Software on only one computer at one location at any one time. Subject to United States export restrictions referenced in Section 8, other applicable regulations and laws, including the laws of countries other than the United States of America or the other limitations set forth in this License, you may install and access Licensed Copies of the software on computers located anywhere in the world. You may Install and Access one (1) copy of the Software on one (1) individual Computer, which must not be connected to a network in a manner that allows more than one (1) user to Access, upload, operate, view or otherwise create or use a copy of the Software. You may not Install or Access the Software other than on one (1) computer at a time. Backup Copy: Regardless of which release of the Software you have, this License permits you to make only one archival (backup) copy of the Software. Such archival copy may not be installed on another computer, unless such computer is a partitioned drive of a server to which only the authorized user has access. In any event, the archival copy may not be used or installed as long as another copy of the Software is installed on any computer. If the Documentation is in printed form, it may not be copied. If the Documentation is in electronic form, you may print out one (1) copy, which may not be copied. NLM Version: If this Software is labeled as NLM version you can install this Software on an unlimited number of PC. This license permits a number of users compliant with the quantity of NLM licenses purchased. Licenses sharing is managed by the server software (progeCAD Protection System) installed on a PC over the network accessible by TCP/IP network protocol system. Corporate Version ONE SITE: If this software is labeled as Corporate One Site version you can install this Software on an unlimited number of PCs. This license permits you to use this Software on unlimited PCs under the company name within one unique company location or within a company unit. Unlimited number of company personnel may use the software at any time. As new equipment, or departments are added to the company, additional installations and/or users are permitted at no additional cost within the same unique company location or within a company unit. Upgrades: If this Software is labeled as an upgrade to software previously licensed to you, you must destroy all copies of the software previously licensed to you and replaced by this Software, including any copies resident on your hard disk drive, and return the hardware lock, if any, which accompanied the software previously licensed to you (unless progeCAD explicitly notifies you that the hardware lock is to be used with the upgrade), within sixty days of acquiring this Software. progeCAD reserves the right to require you to show satisfactory proof that previous copies of the Software have been destroyed. If the hardware lock is not returned within the stipulated period, progeCAD reserves the right, without limitation, to charge you, and you shall pay the difference in price between the upgrade license price and the suggested retail price of this Software. Software patches, if any, provided to you by progeCAD or an authorized third-party in connection with the Software licensed to you hereunder shall be subject to the terms and conditions of this License Agreement unless otherwise specified at the time of delivery. Notwithstanding the foregoing, you may retain and need not destroy the copy of the earlier version of the Software previously licensed to you and may use the earlier version solely if necessary for the purposes of (1) installing the upgrade hereby licensed and (2) for archival (backup) purposes in order to reinstall the upgrade hereby licensed if the initial installation fails. Under no circumstances may you operate the previously licensed version of the Software. Authorization Code: If this Software requires an authorization code, you must register your purchase of this Software product with progeCAD before an authorization code shall be issued to you, and progeCAD shall maintain your registration details. progeCAD reserves the right to introduce a security control on the use of the Software with the scope to verify the observance of the present License Agreement. Such security control can provide with the data relatively to the use of the Software and to the number of its duplications, or can communicate with the computers under the progeCAD control by means of any kind of connection with the scope of a communications exchange so that to report the data concerning the use of the Software and the number of its duplications. progeCAD reserves the right to use a locking device, an application for license management and/or a code to control the access to the Software. You are not authorized to do anything to neutralize completely or partially such devices. The use of the Software without the provided locking devices or access keys is forbidden. NOTE: ALL REMAINING PROVISIONS OF THIS LICENSE AGREEMENT APPLY TO ALL VERSIONS OF THIS SOFTWARE. a.	copy or use the Software or Documentation except as permitted by this license. b.	reverse engineer, decompile, or disassemble the Software except to the extent permitted by law where this is indispensable to obtain the information necessary to achieve interoperability of an independently created program with the Software or with another program and such information is not readily available from progeCAD or elsewhere. You may not decompile the Software if such information is available by licensing any progeCAD Software Developer's Kit through an Authorized Reseller or your local progeCAD office. c.	distribute, rent, loan, lease, sell, sublicense, or otherwise transfer all or part of the Software, Documentation or any rights granted hereunder to any other person without the prior written consent of progeCAD . d.	install or use the Software on the Internet or over a wide area network, including, without limitation, use in connection with a Web hosting or similar service. e.	remove, alter, or obscure any proprietary notices, labels, or marks from the Software or Documentation. f.	modify, translate, adapt, arrange, or create derivative works based on the Software or Documentation for any purpose. g.	utilize any equipment, device, software, or other means designed to circumvent or remove any form of copy protection used by progeCAD in connection with the Software, or use the Software together with any hardware lock, authorization code, serial number, or other copy protection device not supplied by progeCAD directly or through an Authorized Reseller. h.	export the Software or Documentation in violation of Switzerland or other applicable export control laws. l. Third Party Usage. Unless progeCAD expressly specifies or agrees otherwise in the User Documentation, You may not make the Software available to third parties on Internet on Your computer system in any way. Title and copyrights to the Software, Documentation and accompanying materials and any copies made by you remain with progeCAD and its licensors. The structure, organization, and code of the Software are valuable trade secrets of progeCAD and its licensors. Unauthorized copying of the Software or Documentation, or failure to comply with the above restrictions, will result in automatic termination of this license. This Agreement does not grant you any intellectual property rights. progeCAD warrants that the Software will provide the facilities and functions generally described in the Documentation and that the media on which the Software is furnished, the Documentation accompanying the Software, and any hardware lock or other copy protection device accompanying the Software will be free from defects in materials and workmanship under normal use. EXCEPT FOR THE ABOVE EXPRESS LIMITED WARRANTIES, progeCAD MAKES AND YOU RECEIVE NO WARRANTIES, EXPRESS, IMPLIED, STATUTORY, OR IN ANY COMMUNICATION WITH YOU, AND progeCAD SPECIFICALLY DISCLAIMS ANY OTHER WARRANTY INCLUDING THE IMPLIED WARRANTY OF MERCHANTABILITY OR FITNESS FOR A PARTICULAR PURPOSE. progeCAD DOES NOT WARRANT THAT THE OPERATION OF THE SOFTWARE WILL BE UNINTERRUPTED OR ERROR FREE. The above exclusions may not apply to you as some jurisdictions do not allow the exclusion of implied warranties. In addition to the above warranty rights, you may also have other rights, which vary from jurisdiction to jurisdiction. COMPUTER-AIDED DESIGN SOFTWARE AND OTHER TECHNICAL SOFTWARE ARE TOOLS INTENDED TO BE USED BY TRAINED PROFESSIONALS ONLY. THEY ARE NOT SUBSTITUTES FOR YOUR PROFESSIONAL JUDGMENT. COMPUTER-AIDED DESIGN SOFTWARE AND OTHER TECHNICAL SOFTWARE ARE INTENDED TO ASSIST WITH PRODUCT DESIGN AND ARE NOT SUBSTITUTES FOR INDEPENDENT TESTING OF PRODUCT STRESS, SAFETY AND UTILITY. DUE TO THE LARGE VARIETY OF POTENTIAL APPLICATIONS FOR THE SOFTWARE, THE SOFTWARE HAS NOT BEEN TESTED IN ALL SITUATIONS UNDER WHICH IT MAY BE USED. progeCAD SHALL NOT BE LIABLE IN ANY MANNER WHATSOEVER FOR THE RESULTS OBTAINED THROUGH THE USE OF THE SOFTWARE. PERSONS USING THE SOFTWARE ARE RESPONSIBLE FOR THE SUPERVISION, MANAGEMENT AND CONTROL OF THE SOFTWARE. THIS RESPONSIBILITY INCLUDES, BUT IS NOT LIMITED TO, THE DETERMINATION OF APPROPRIATE USES FOR THE SOFTWARE AND THE SELECTION OF THE SOFTWARE AND OTHER PROGRAMS TO ACHIEVE INTENDED RESULTS. PERSONS USING THE SOFTWARE ARE ALSO RESPONSIBLE FOR ESTABLISHING THE ADEQUACY OF INDEPENDENT PROCEDURES FOR TESTING THE RELIABILITY AND ACCURACY OF ANY PROGRAM OUTPUT, INCLUDING ALL ITEMS DESIGNED BY USING THE SOFTWARE. IN NO EVENT WILL progeCAD BE LIABLE FOR ANY LOSS OR DAMAGES OF ANY KIND, INCLUDING LOSS OF DATA, LOST PROFITS, COST OF COVER, OR OTHER SPECIAL, INCIDENTAL, CONSEQUENTIAL, OR INDIRECT DAMAGES ARISING OUT OF THE USE OR INABILITY TO USE THE SOFTWARE OR DOCUMENTATION, HOWEVER CAUSED AND ON ANY THEORY OF LIABILITY. THIS LIMITATION WILL APPLY EVEN IF progeCAD OR ANY RESELLER HAS BEEN ADVISED OF THE POSSIBILITY OF SUCH LOSS OR DAMAGE. YOU ACKNOWLEDGE THAT THE LICENSE FEE REFLECTS THIS ALLOCATION OF RISK. progeCAD shall have no responsibility or liability whatsoever arising from loss or theft of the Software or of any copy protection device with which the Software is supplied. Specifically, progeCAD shall not be obligated to replace any lost or stolen software or copy protection device. You are solely responsible for safeguarding the Software and any copy protection device from loss or theft and protecting your investment through insurance or otherwise. The above limitations may not apply to you because some jurisdictions do not allow the limitation or exclusion of liability for incidental or consequential damages. A. This license shall terminate without further notice or action by progeCAD if you, the licensee, become bankrupt, make an arrangement with your creditors or go into liquidation. B. This Agreement shall be governed by the laws of Switzerland. This Agreement is the entire agreement between us and supersedes any other communications or advertising with respect to the Software and Documentation. If you have any questions, please contact us. C. If any provision of these license conditions is found to be invalid or otherwise unenforceable, the further conditions of this license will remain fully effective and the parties will be bound by obligations which approximate, as closely as possible, the effect of the provision found invalid or unenforceable, without being themselves invalid or unenforceable. The Sofware is subject to certain export restrictions of the United States Government. If you are (a) in a country to which export from the United States is restricted for anti-terrorism reasons, or a national of any such country, wherever located, (b) in a country to which the United States has embargoed or restricted the export of goods or services, or a national of any such country, wherever located, or (c) a person or entity who has been prohibited from participating in United States export transactions by any agency of the United States Government, then you may not install, download, access, use, or license the Software. By accepting this License, you warrant and represent to progeCAD that (1) you do not match the criteria set forth in (a), (b), or (c) above, (2) that you will not export or re-export the Software to any country, person, or entity subject to U.S. export restrictions, including those persons and entities that match the criteria set forth in (a), (b), or (c) above, and (3) that neither the United States Bureau of Industry and Security, nor any other U.S. federal agency, has suspended, revoked, or denied your export privileges. DWG is the native file format for Autodesk AutoCAD® software and is a trademark of Autodesk, Inc.. AutoDesk and AutoCAD are registered trademarks or trademarks of Autodesk, Inc., and/or its subsidiaries and/or affiliates in the USA and/or other countries.